Cakes by Dusty: Happy Birthday Brenda! I was given free reign on this cake and since the birthday girl is girly, this is what I came up with. 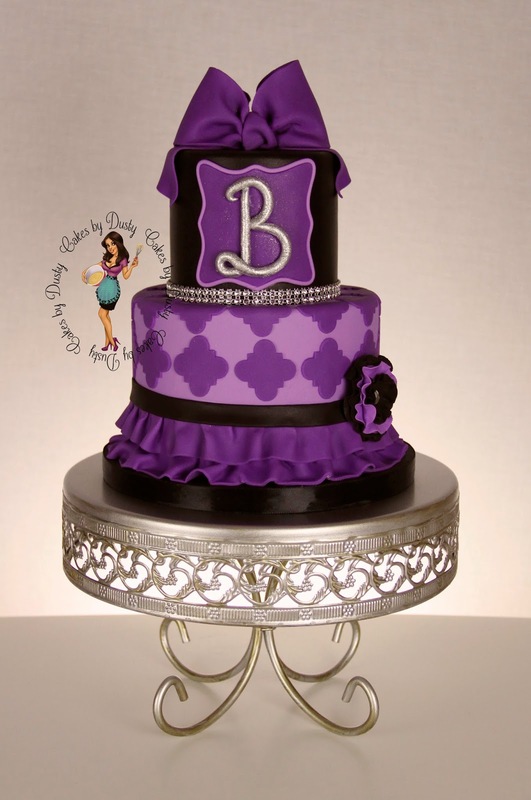 =) The bling around the top tier isn't edible but everything else is.